it's good for no seasick, the view is very beautiful from boat and you can enjoy the lunch with great atmosphere. 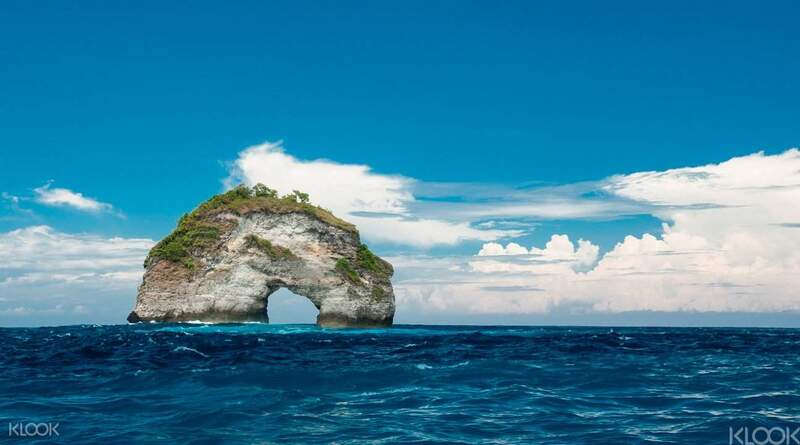 Cruise through the three most prestigious islands in Bali: Nusa Lembongan, Nusa Penida and Nusa Ceningan. View 300 foot high coastal cliffs, Bat Rock, ‘Manta Point Gate’ and other famous spots as you experience the fastest full day cruise in Bali. Spot graceful sea creatures including manta rays, whales and dolphins along the way – some might even get close to the boat to greet you. If you can’t get enough of the sea, then jump in at some of the best snorkeling locations in Bali to discover its colorful coral reefs. Boat ride was blast, wish it was sunnier on our day!! Great customer service and nice beach club to hang for the day. Highly recommend this tour. Lunch is included but not drinks, bring money. Boat ride was blast, wish it was sunnier on our day!! Great customer service and nice beach club to hang for the day. Highly recommend this tour. Lunch is included but not drinks, bring money. Was a wonderful experience! Loved the thrills of being in a high speed boat! Pick up from hotel was on time, departure on boat was on time, return was on time also. 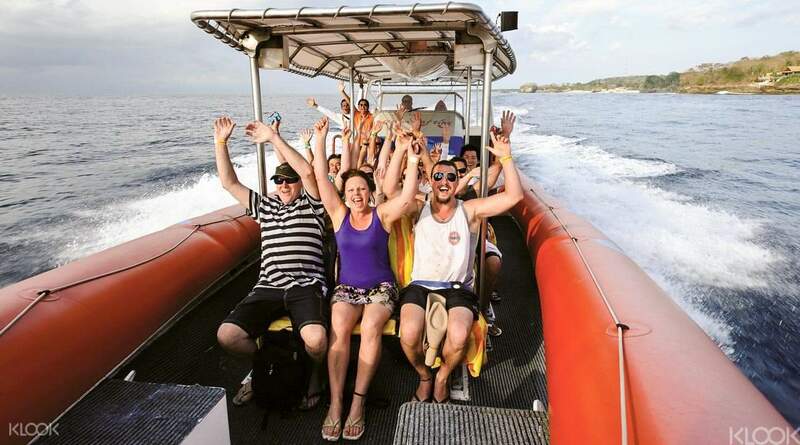 Note: choppy waters, so some might get seasick, especially when the boat stops for the 2 snorkelling activities. But once the boat moves it should be ok. Lunch provided on board, decent variety of meat, vegetables and snack. Towel provided for as well as life jacket and snorkelling gear! Was a wonderful experience! Loved the thrills of being in a high speed boat! Pick up from hotel was on time, departure on boat was on time, return was on time also. 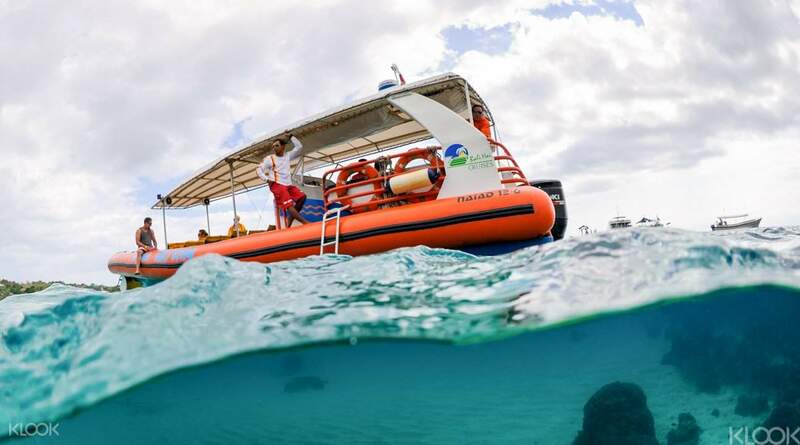 Note: choppy waters, so some might get seasick, especially when the boat stops for the 2 snorkelling activities. But once the boat moves it should be ok. Lunch provided on board, decent variety of meat, vegetables and snack. Towel provided for as well as life jacket and snorkelling gear! Great Tour. Lots of boat travelling but its a perfect day spend on & in the water. Team on the boat well equipt and really friendly. Nice food is served as well. Great Tour. Lots of boat travelling but its a perfect day spend on & in the water. Team on the boat well equipt and really friendly. Nice food is served as well. Excellent crew that were well trained and informed. Sites for dives were beautiful and lunch stop over sea grass location was relaxing. The plentiful activities at the private club were sufficient to fill the two hours allocated for it and my family enjoyed the village visit while we were there. Excellent crew that were well trained and informed. Sites for dives were beautiful and lunch stop over sea grass location was relaxing. The plentiful activities at the private club were sufficient to fill the two hours allocated for it and my family enjoyed the village visit while we were there. 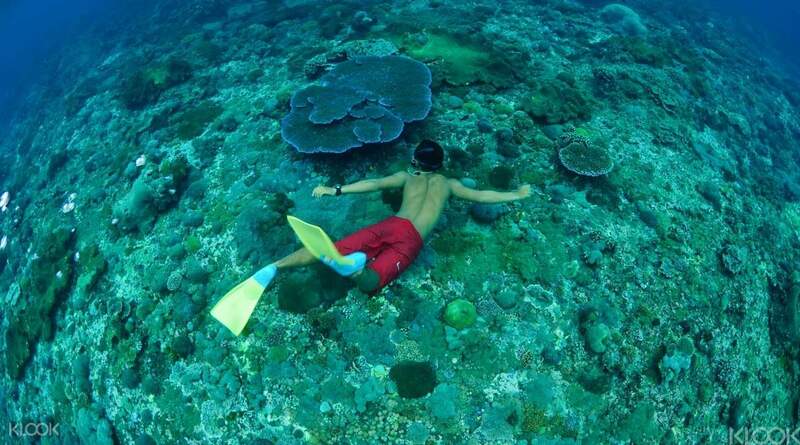 Snorkeling is a unforgettable experience in Bali. The view under the sea is so beautiful. But be careful of the seasick. Snorkeling is a unforgettable experience in Bali. The view under the sea is so beautiful. But be careful of the seasick. The overall experience is great, the second snorkeling point after lunch is more clear and shallow. We could see lot of fishes and corals. Food was average. The staff was good. I would recommend this to anyone looking for a full day activity in Bali. The overall experience is great, the second snorkeling point after lunch is more clear and shallow. We could see lot of fishes and corals. Food was average. The staff was good. I would recommend this to anyone looking for a full day activity in Bali. This tour was okay but I wouldn’t recommend this if you are a person that gets dizzy easily. On our way going to the Nusa Islands, the ride is very bumpy and I guess that’s what made most of the guests dizzy that time. And the snorkeling area in Nusa Ceningan is super wavy! Snorkeling activities should be in calm water areas. We couldn’t see the fishes under the sea clearly because of the big waves. The people assisting us are not really that helpful too. I was not really satisfied with this tour. This tour was okay but I wouldn’t recommend this if you are a person that gets dizzy easily. On our way going to the Nusa Islands, the ride is very bumpy and I guess that’s what made most of the guests dizzy that time. 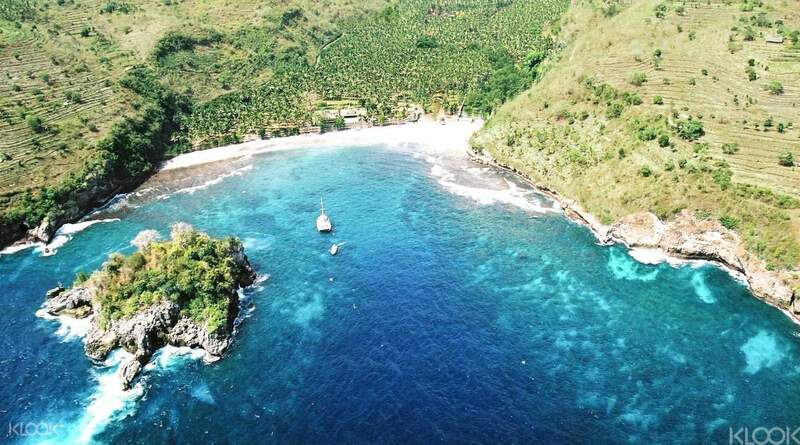 And the snorkeling area in Nusa Ceningan is super wavy! Snorkeling activities should be in calm water areas. We couldn’t see the fishes under the sea clearly because of the big waves. The people assisting us are not really that helpful too. I was not really satisfied with this tour. very exciting and breathtaking experience...highly recommended for those looking for adventure.. very exciting and breathtaking experience...highly recommended for those looking for adventure..
Q: Can I be dropped off at a hotel different from my pick up location?